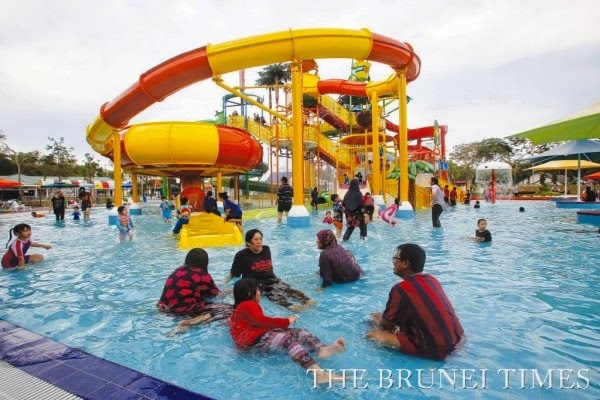 BANDAR SERI BEGAWAN, Wednesday, December 17, 2014 - HEARTY cheers filled the Jerudong Park and Country Club yesterday as the countdown signalled the grand and official opening of the country’s biggest water park. 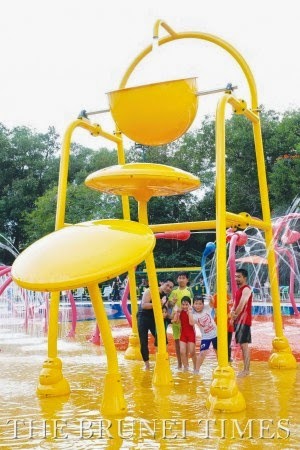 Hundreds of visitors comprising the young and old had the first glimpse of 10 exciting water games as they entered the water park. 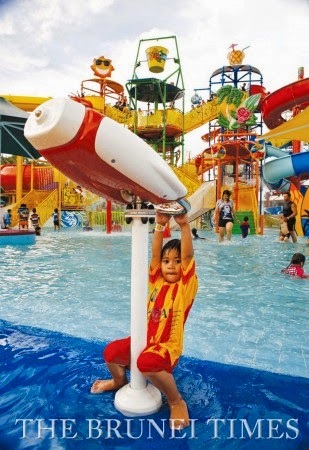 Armed with boundless enthusiasm and excitement, the children entered the waters and took to the aqua slides, waterfall jets and guns, water mill and waterslides which were part of the many exciting features of the park. Adults also had a great time as they stood below the interactive tipping bucket and daisy showers while the water splashed on their faces. 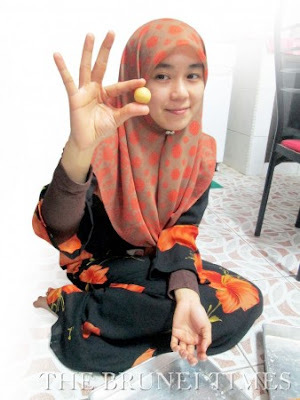 Speaking to The Brunei Times, Kristin Natalia, a mother of three children from age six to 13, said that her family enjoyed themselves and will be returning in the future. 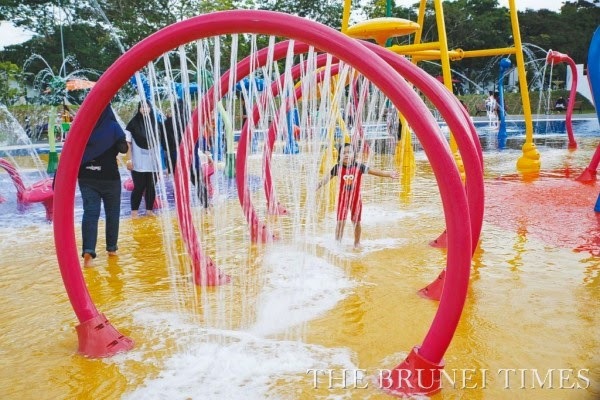 Meanwhile, Haris Fadhilah, who came with five of his nephews and nieces, said that this park was an ideal place for children to spend their time while the adults can enjoy other features of the park. 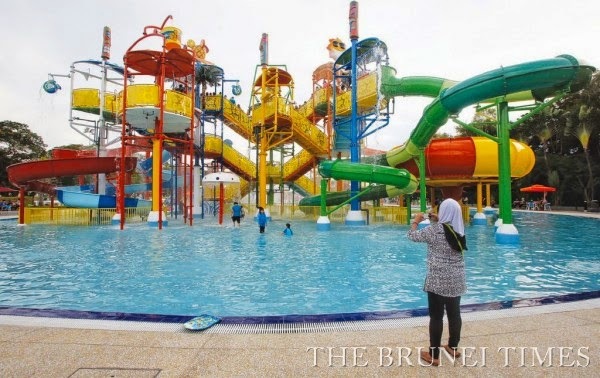 A Singaporean visitor to the park, Andrew Chow, who is also an entrepreneur, speaker and author said that the park was an eye-opener for him as he never expected to see this in Brunei. 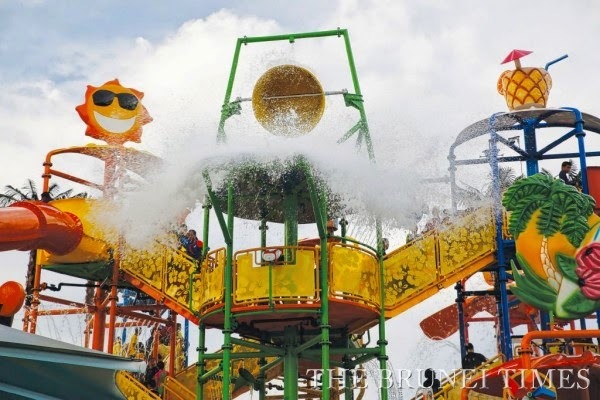 “This place is excellent for company team-building and $10 is great investment for families to reconnect and bond,” he added. 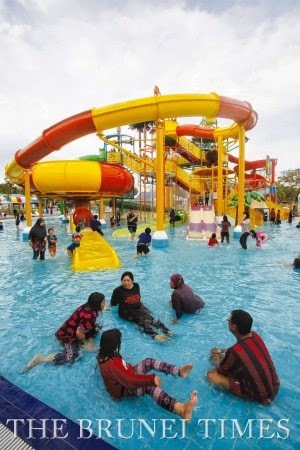 With facilities that include a nursing room, surau (prayer hall), male and female showers with changing rooms and lockers, the water park can accommodate up to 400 visitors at one time. However, all visitors are required to observe all rules and regulation at all times when enjoying the facilities. This includes observing decent and appropriate attire at the park. Additionally, visitors can also purchase various items including souvenirs, towels, and sunscreen lotions at the shop located just within the park’s vicinity. Charcoal Burger which also opened yesterday is currently the authorised café and restaurant serving light snacks and refreshment to visitors at the water park. However, other cafes and restaurants can also be found at the dry park. 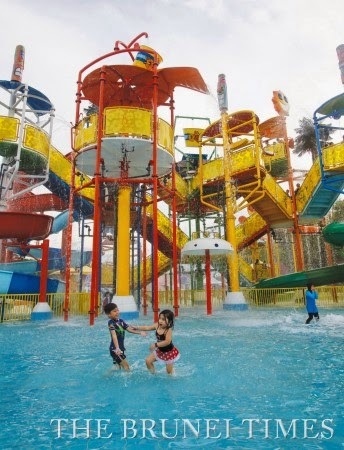 The Jerudong Park and Country Club is also featuring its ongoing “December Holiday Specials” promotion throughout the month. 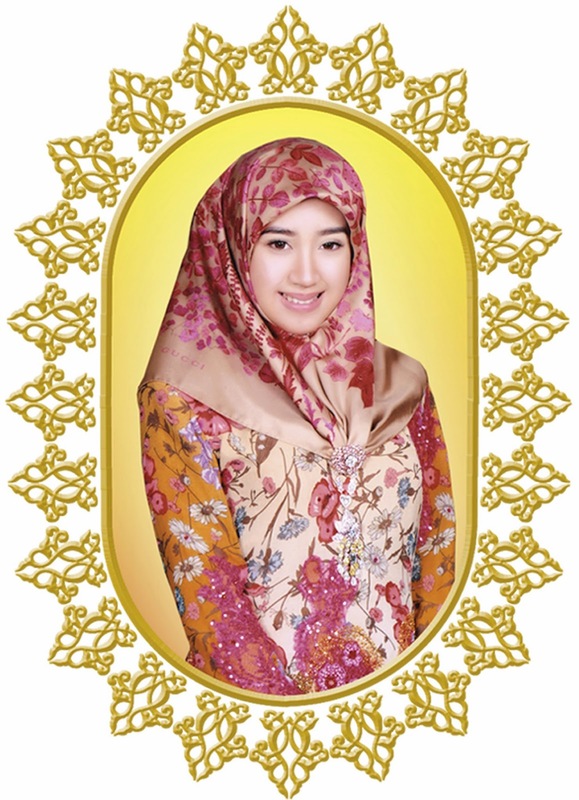 The promotion offers entry tickets of $10 for adults, $5 for children and $5 for senior citizen above 60 years old. Meanwhile, children below the age of 2 years old enter for free. 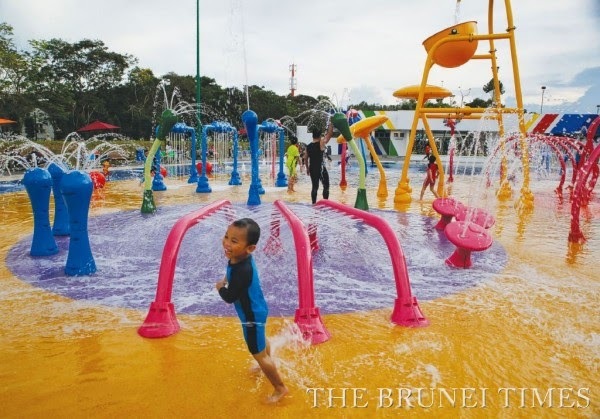 Throughout the month of December, the Jerudong Park Playground is closed on Monday but is open from 4pm to 6pm and 8pm to 10:30pm on Tuesday, Wednesday, Thursday and Friday. On Saturdays and Sundays, the park open is from 10am to 12noon, 1pm to 3pm, 4pm to 6pm and from 8pm to 10:30pm. 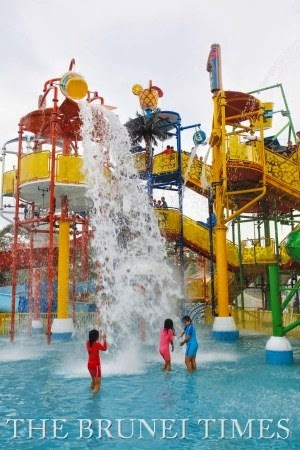 Members of the public will also be able to purchase tickets online via the official website a week after the opening of the water park. For more information and updates, follow JPCC’s official Instagram and Facebook accounts at @jerudongpark and Jerudong Park Country Club respectively.